We just wanted to thank you for the wonderful trip we had in Bhutan. Sonam and Sherab were excellent. We just wanted to thank you for the wonderful trip we had in Bhutan. Sonam and Sherab were excellent. The service and rooms at the Uma resort were the best we have ever been in anywhere in the world. There were places Mimi had not seen on her first trip; she is thankful to have gone back to Bhutan to see these places and hike more on this trip than her last one. We would like to have Sonam’s email to send some pictures to him if you have it. 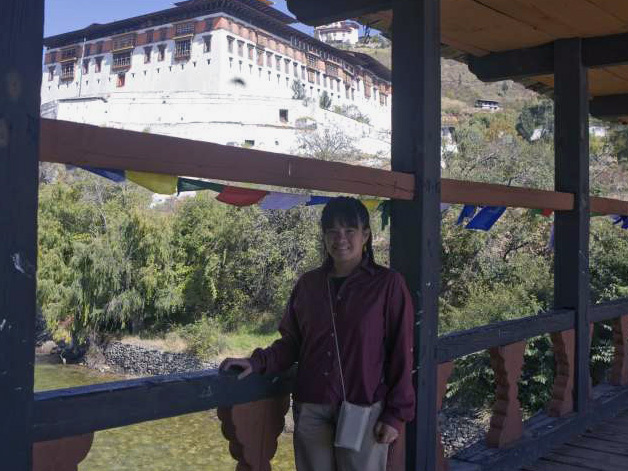 We also heard through Sonam that you were helping with a documentary about Eastern Bhutan. Let us know if it comes out on DVD or TV so that we may see another part of Bhutan that we’d like to visit one day.